Take Action -- Join the global movement for 100 percent clean and renewable energy! Our goal is to accelerate a transition to 100% clean, renewable energy for all. Cleaner, cheaper, healthier energy is here. It’s time for leaders across the U.S. to commit to 100% clean and renewable energy, to help leave a healthy climate for our kids and grandkids. READY FOR 100 is a movement of parents, grandparents and people of all kinds working to inspire our leaders to embrace a vision of healthier communities powered by 100% clean energy. We are asking mayors, CEOs, pastors, principals, civic and community leaders, parents and students to commit to solutions that help us achieve 100% clean, renewable energy across the United States by the year 2050. Join the #ReadyFor100 movement by signing the letter to tell your mayor that you're ready for 100% clean and renewable energy too. We're Ready for 100 percent clean, renewable energy! Are you? Dear Mayor, Across the nation, people in both red states and blue states are realizing that modernizing our cities with 100% clean and renewable energy will help create jobs and boost local economies. Cities like Aspen, CO, Georgetown, TX, and Burlington, VT, have already achieved 100% clean energy. And internationally, Vancouver, Paris, and Sydney are also going all-in on clean energy. 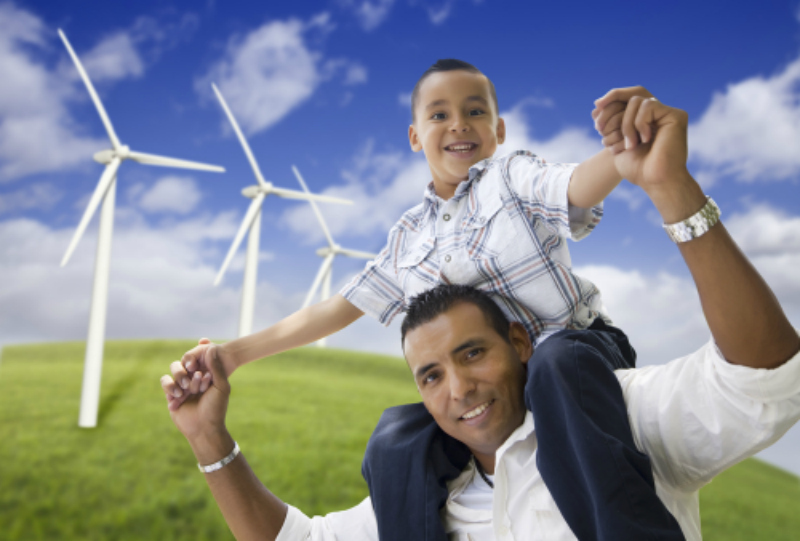 A recent economic study estimated that a transition to clean energy will add 1 million jobs in the U.S. by 2030 and increase household disposable income by $350-$400 in 2030 and by as much as $650 in 2050 (source: http://nextgenamerica.org/blog/our-clean-energy-economy/). The renewable energy sector is booming. Wind and solar prices have rapidly declined in the past five years, and the solar industry is one of the fastest growing sectors of the US economy. Poll after poll shows that a majority of Americans support renewable energy. In a recent national survey of U.S. adults paid for by the Sierra Club, a whopping 83 percent of respondents said they support a goal of 100% clean energy. With cities like Paris and San Diego leading the way, it’s time for our city to step up to the plate. We too deserve clean air, good jobs, and strong leadership. I'm ready for our city and community to go 100% clean energy! Will you lead us to 100% clean and renewable energy? !